Want to investigate the X-Files with some style? 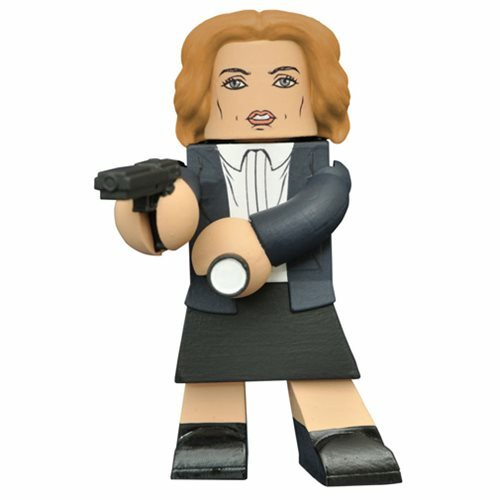 This stylized X-Files 2016 Dana Scully Vinimate Vinyl Figure depicts Scully in her updated look from the 2016 mini-series, but captured in the geometric shapes of a Minimates mini-figure! Striking an action pose, with her gun and flashlight at the ready, this 4-inch static figure has a ball-jointed neck, and comes packaged in a full-color window box. Ages 14 and up.